A retired librarian, particularly a children's librarian, still less a lady of 96 is not the sort of person who immediately comes to mind when one thinks of a revolutionary. And yet Eileen Colwell led one of the most profound and far reaching cultural/social revolutions that Britain saw in the 20th. century.When Eileen Colwell born at Robin Hood's Bay in 1904, the daughter of a Methodist minister, left school in 1920, she wanted a job which combined her love of books with her love of children. Work in a library was the obvious choice for the former but in the early part of the 20th. century the presence of children, especially young children, in libraries was actively discouraged. Anyone now under 65 takes for granted the attractive, welcoming and warm nature of the children's section of our public libraries with their selection of colourful, appropriate and interesting books for children of all ages. Those of us who came from homes where there were few books, and often too much noise to read them in, have a great deal to thank this pioneering woman for. So well known is Eileen Colwell in the library world that this book attracted a worldwide subscription of hundreds of orders before its publication. The book is a fascinating account both of Eileen's own life which she dedicated to her job developing a children's library service in the London Borough of Hendon and her part in combating the negative attitudes towards both children and influential women of the time. It is a story of the use of a remarkable imagination in an area noted for its stuffiness and outdated notions of respectability. In an era of unequal pay and poverty of expectation for women Eileen conducted a low key but successful struggle for independence and higher education. 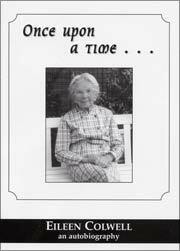 She also tells of her childhood as a 'daughter of the manse' in the early years of the last century, her storytelling activities, including her experiences of broadcasting in the early days of radio and television, her friendships, in particular with Eleanor Farjeon and John Masefield and of her teaching and her travels. By the end of her working life she could look back on a career which had stimulated "every last thing that encourages literacy and then makes it worthwhile". Children now enjoy a wealth of books available to them, a wealth that was almost unimaginable when Eileen started work. By the time she retired she could reflect on the fact that she had become "part of that revolution in publishing."